Just a bit of a preview of something coming up soon; bask in the glory of this metallic red. WOW!!! I LOVE THIS COLOR!!! Oh wow, this looks gorgeous. 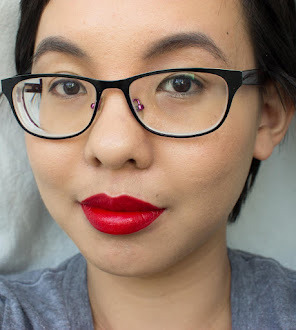 Metallic reds are such a cool colour for lips!